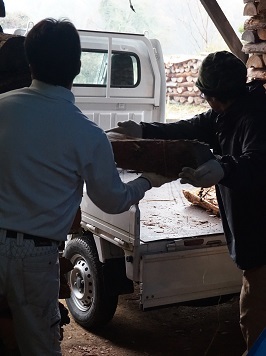 I visited Mr. HOSHI to watch firing of his kiln. 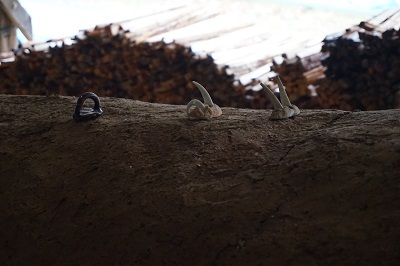 This is my first visit to other Bizen potter's firing. 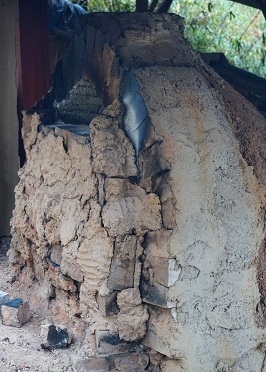 What a long kiln ! 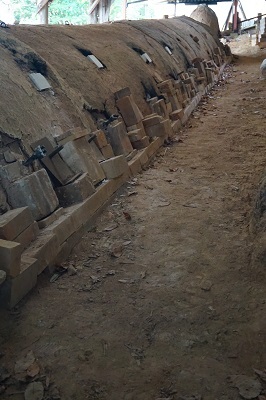 Mr. HOSHI's kiln is Anagama, old type of kiln made by digging a hole in the side of a hill. It is more than 20 meters long. And its chimney is also unfamiliar to me. The chimney looks cool but actually more than 1,000℃ of air is coming out. 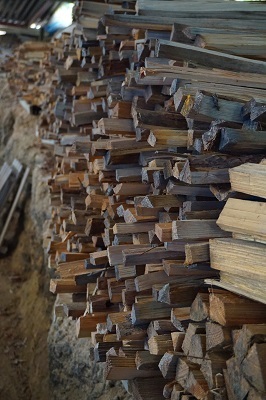 Firewood is about three times as large as useul one. 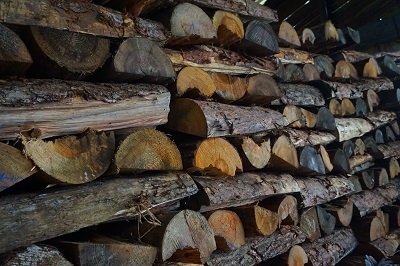 Those big firewood is fired continuously. 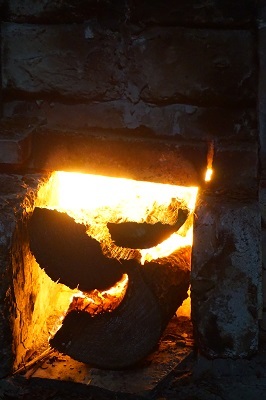 It was warm on the day, so after a while by the kiln, I began to feel hot. those feelings remided me of my childhood. I really appreciate Mr. HOSHI and his son for giving me a special time !